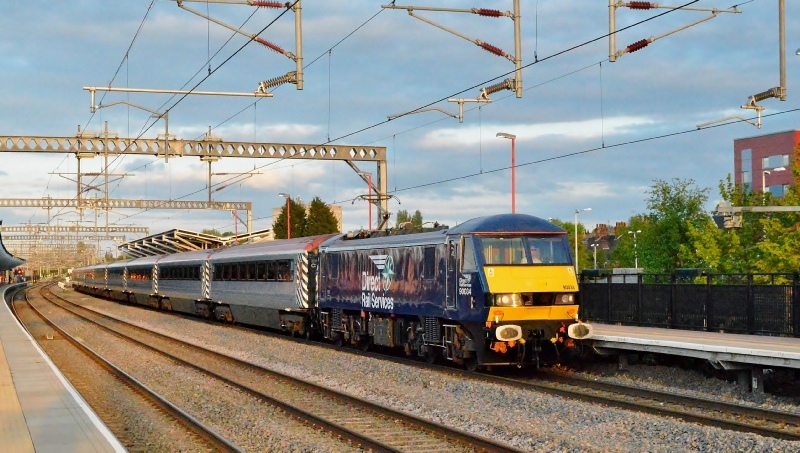 Despite no more loco-hauled services involving WB64 and class 90 traction, this webpage will remain in place until further notice. Virgin Train tookover the West Coast route from British Rail in 1997 for a period of 15 years. Their contract was extended by the Transport Minister for a further 23 months taking it to the start of November 2014 in late 2012, but this has been extended again to 2017. The MK3 set commonly known as WB64 performed its final passenger duties for Virgin Trains using a class 90 on the 24/10/14 between Euston-Birmingham-Euston. 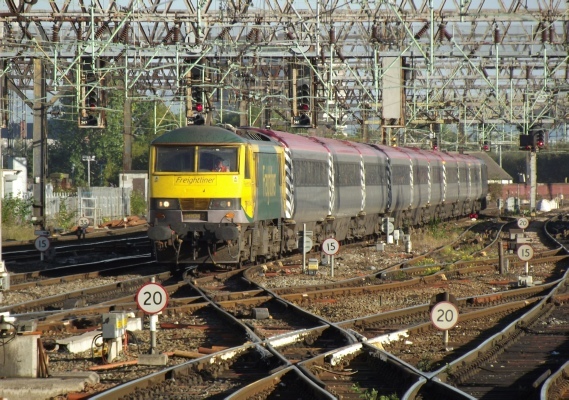 The set then went onto work ecs movements on the 25th & 26th October between Euston-Crewe-Stafford-Wembley. On the 19th June 2014, Virgin were awarded an extension to their current franchise contract which will run until Spring 2017. 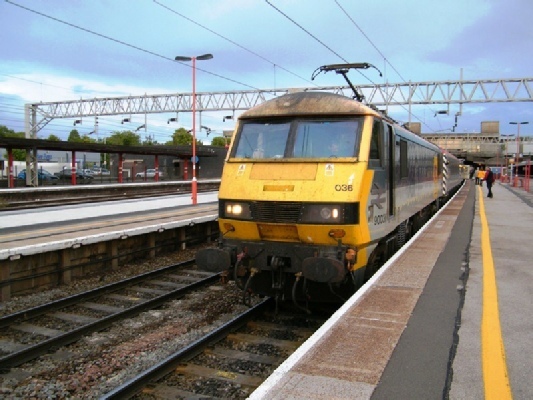 Note that Virgin have operated services on the WCML since 1997 after taking from British Rail. The Virgin MK3 set (WB64) is to be returned to Porterbrook pending further use by TOCs (no details known). This means the curtain has come down for the set and has no further booked work with Virgin Trains. This webpage shall remain in place until further notice. 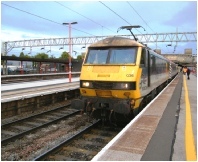 In December 2011, Virgin Trains started hiring in from Freightliner and the first loco to feature on WB64 as part of this contract was 90045 which ran to Preston on 1P05. The hire contract finished in December 2013 - ironically 90045 worked the last official outing with WB64 on 29/9/13.